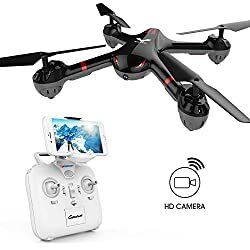 Hobby Drones with cameras are a good choice for those that want to try taking pics and video with a drone without investing a lot of money upfront. 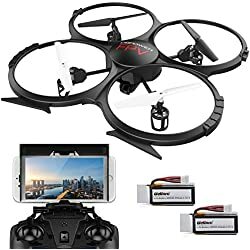 While most of us start with the small mini drones like the Hubsan x4 or Syma x11 which are great for learning the basics. 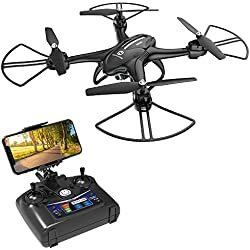 After a while you want something a little bigger, A better rc drone that includes some of the latest features. 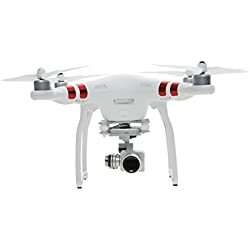 One that you can take outdoors and try your hand at Aerial Photography. 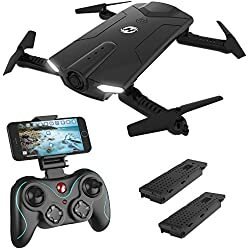 The technology and designs are rapidly improving, offering many choices when it comes to finding the BEST low cost remote control drone. 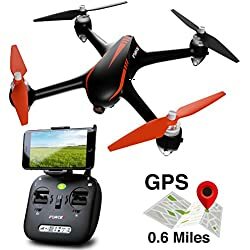 Some popular features on many new models now include HD cameras, Headless mode, Altitude Hold and a Flip button for added fun. 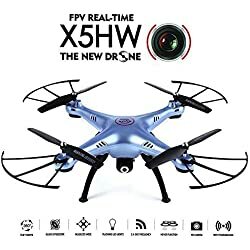 Another new feature gaining popularity is FPV (first person view). 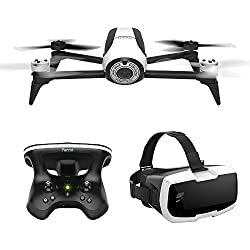 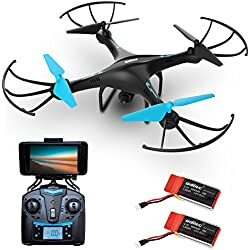 If your interested, see our post that includes some of the Best Low Priced Beginner Fpv Quadcopters currently for sale on Amazon. 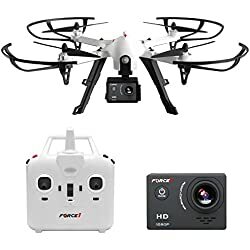 In the end, it all comes down to personal preference, what you like and what you want to spend, go with what you want to fly. 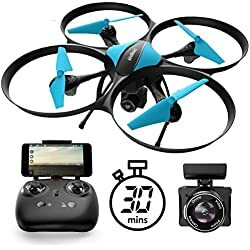 If you are looking for a gift that will excite any youngster, why not try one of these Cool and Cheap Toy Drones for Kids. 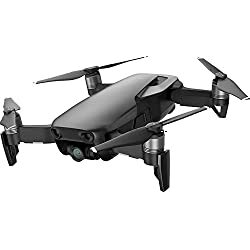 If you like aerial photography or want to offer a commercial service, Get yourself a Professional Drone. 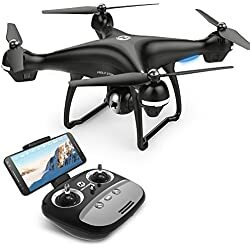 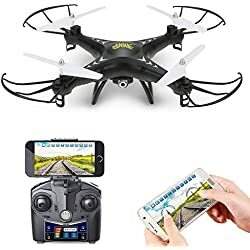 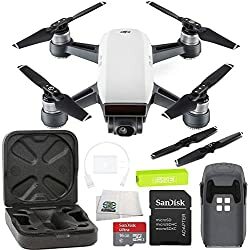 To make your search a little easier, Listed below are some of the Best Hobby Drones with cameras that you can buy, If you’re looking for a unique gift or just getting started, You may want to purchase a smaller, less expensive Mini Drone or Nano Quadcopter, before trying one of the these larger Hobby Drones. 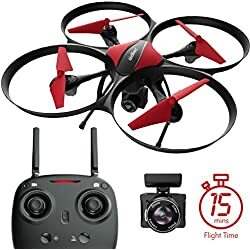 NOTE: because crashes are inevitable and flying time somewhat limited. 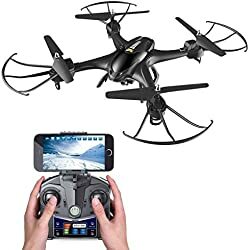 I highly recommend you also get an extra set of propellers and an extra battery or two. 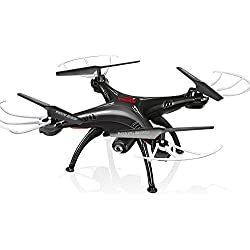 Most models offer Spare Parts and Crash Packs that include everything you need and are worth considering.